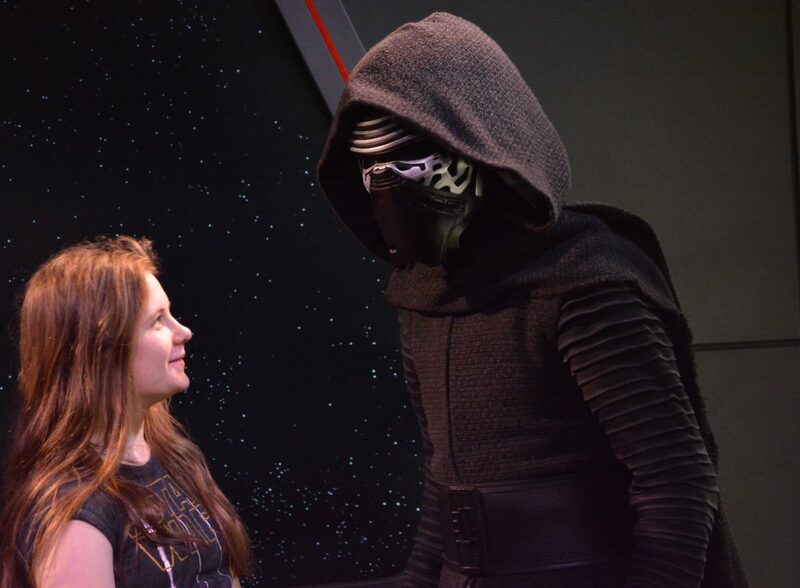 It is time for another edition of all the latest news & rumours from Walt Disney World. 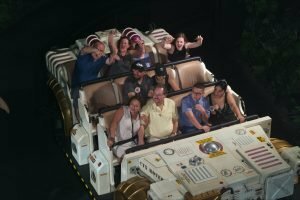 Our Walt Disney World News & Rumours April 2019 includes Virgin Trains, Bo Peep, delays at Hollywood Studios, construction updates at Epcot, smoking ban and more. 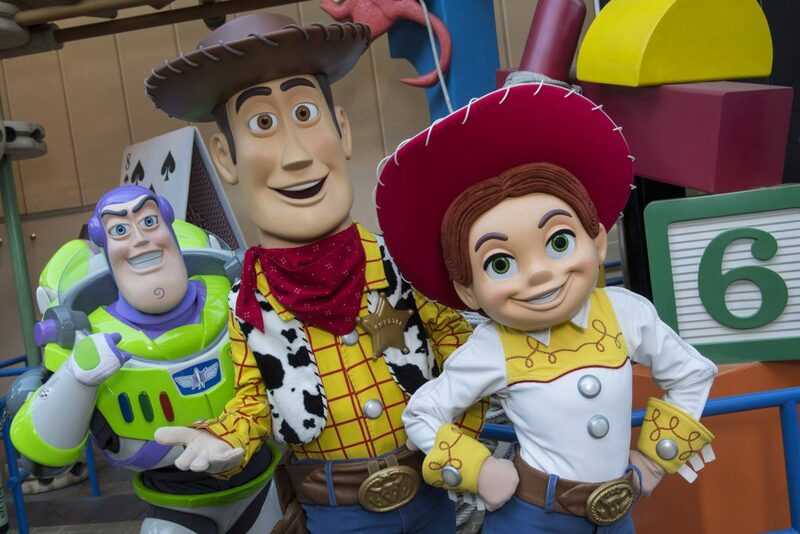 A new character experience is coming to Toy Story Land at Hollywood Studios. Bo Peep will be joining Buzz, Woody, Jessie & the Green Army Men for the summer. Toy Story 4 is released June 21. Virgin Trains is hoping to open a station inside Walt Disney World. Construction on a rail link from South Florida to Central Florida is just underway. The plans also include construction of a station at Orlando International. It is hoped construction could be completed within 36 months. Readers in the UK who are familiar with Virgin Trains might be not too excited by this latest development. Click this link to see reviews of Virgin Trains in the UK. The 2019 Epcot International Food & Wine Festival will run August 29-November 23. This year’s festival will be the longest Food & Wine Festival to date and will open on the same date as Star Wars: Galaxy’s Edge. Dates have also been announced for the 2019 Epcot International Festival of the Holidays which will run between November 29-December 30. 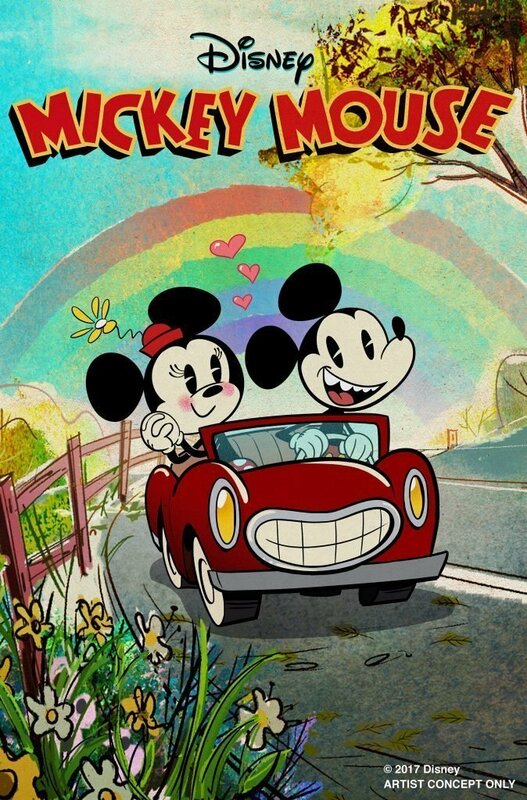 Disney initially announced that Mickey and Minnie’s Runaway Railway would be opening in Fall 2019. However, there has been no confirmation of the exact date, and there are rumours that the opening might now be delayed. Blog Mickey are suggesting we might even have to wait until 2020 to experience the new attraction. There is an enhancement, and a new price, to After Hours at The Magic Kingdom for summer 2019. Disney Villains will add a wicked twist to Disney After Hours event nights between June 6-August 8. The events are promising “wickedly fun villains theme, with exclusive entertainment, food & beverage, merchandise and more”. However, there will be no meet and greets with the Disney Villains! Perhaps the highlight will be the Maleficent the Dragon float appearing in the park, breathing fire, for the first time at night. Disney After Hours is an increasingly popular hard ticket event available on select nights. Tickets are limited and guests have access to the park’s most popular attractions with virtually no wait. Unlimited ice cream, select snack and bottled drinks are included in your price. The price for these new events has gone up slightly. Tickets cost $139 plus tax in advance, $144 plus tax on the event night. There is a $30 discount for annual pass holders and DVC members. Another new attraction has opened at Hollywood Studios. Lightning McQueen’s Racing Academy might not be as exciting as some of the other attractions opening at Hollywood Studios in 2019, but it is getting some good reviews. We also have an opening date for the new Hollywood Studios nighttime show. The Wonderful World of Animation will debut on May 1 2019. May 1 also happens to be the park’s 30th anniversary. 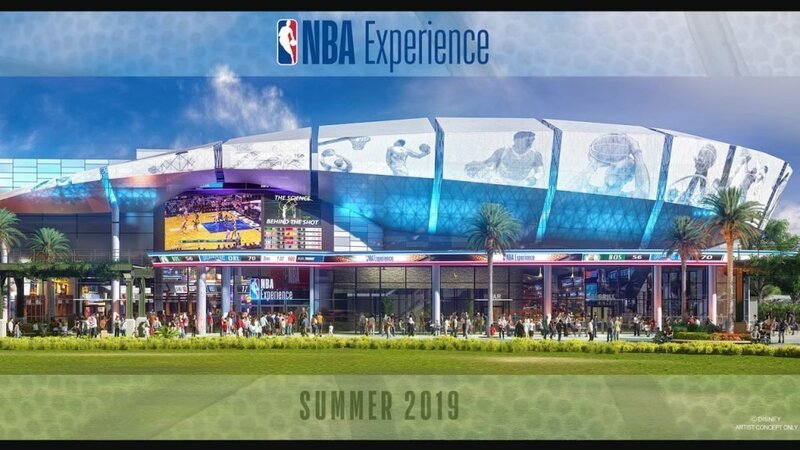 The NBA Experience will eventually be opening this summer. Built on the site of the former Disney Quest, The NBA Experience promises to ” help you feel what it’s like to be an actual NBA or WNBA player.” The attraction officially opens Aug. 12, 2019 at Disney Springs. Smoking areas will be getting removed from parks shortly. Beginning May 1, 2019, there will be no smoking inside any of the parks at Walt Disney World. Designated smoking areas will now be found outside of the parks main entrance. The ban also includes the use of e-cigarettes. What Walt Disney World needs, in my opinion, is another Dance Party! After all, there are hardly any Dance Parties in Walt Disney World. Actually, the increasing trend to introduce dance parties, in my opinion, is becoming somewhat repetitive. It feels that the Imagineers have suddenly run out of ideas for unique entertainment offerings. However, if you don’t share my view, you are in luck as another new dance party has opened at Hollywood Studios. DJ’s Ready! Set! Party Time! occurs several times daily in the courtyard outside Lightning McQueen’s Racing Academy. Lightning McQueen’s Pit Crew will keep you entertained with dances and games. I can hardly wait! 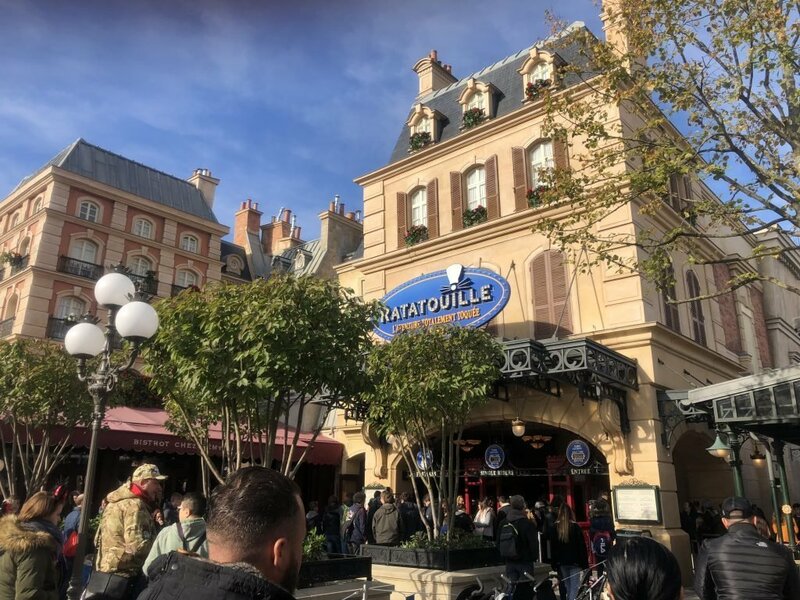 A new Crêperie will be opening in the France Pavilion at Epcot as part of the expansion that includes Remy’s Ratatouille Adventure. No opening date has been confirmed but is likely to be sometime during 2020. We have confirmation that Rafiki’s Planet Watch will be reopening for summer 2019. Towards the end of last year it had been rumoured the area was due to close permanently. There will be a few Lion king enhancements but all the main features including the Affection Section and the Wildlife Express will be returning. It seems likely that Rafiki’s Planet Watch might not be round much longer therefore if you do have time catch the Wildlife Express. 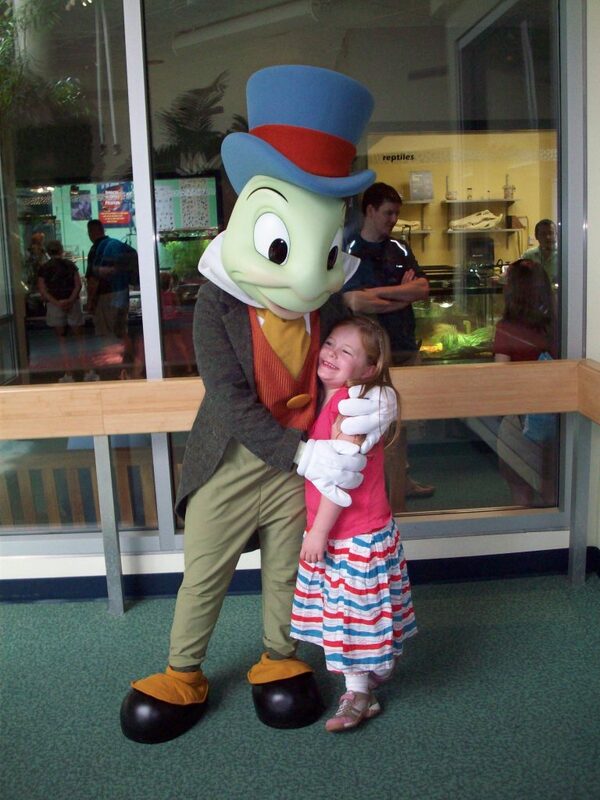 Meeting the legendary Jiminy Cricket at Rafiki’s Planet Watch. Perhaps he will make a return this year? First up is the France Pavilion Construction at Epcot including Remy’s Ratatouille Adventure. He has also been looking over the fence at the construction of the new Guardians of The Galaxy Coaster. I’m amazed every time I see the size of this new coaster. We will be back with another Walt Disney World News & Rumours update in May. If you have missed any of our previous updates you can find them all here.